School is back in full swing and that means it’s time to get organized—especially when it comes to time management. Throughout the year, calendars and timelines are extremely useful graphic representations for keeping you and your family on the right track academically and socially. Displaying information in a visual form helps children become more actively engaged in learning about the sequence of events over a period of time by creating calendars or timelines that they add to themselves. For instance, breaking down the year using a monthly calendar is a great learning tool for even the youngest of children. Calendars provide a great opportunity for learning all kinds of math skills, time management skills, and helping children prepare for upcoming events. Janelle Cox, a former teacher and the elementary education expert for About.com. says that, “A calendar helps a child stay organized because it forces them to be responsible for their own personal things.” But while finding the right calendar and assuring that they use it may seem like a challenge, education experts recommend allowing them to see you put a calendar of your own to use, so that kids learn the value of a calendar by watching their parents use their own calendars. 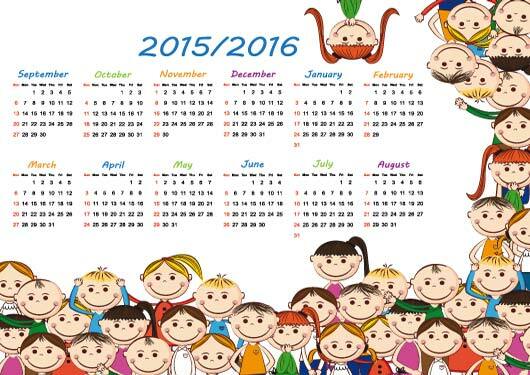 For younger children, start with purchasing a large wall calendar. Even if your little one isn’t reading or writing yet, sit together at the beginning of each month and fill out her calendar. Write in weekly events like Wednesday’s afternoon Spanish class or Friday’s swimming lesson and allow your child to watch you writing the words (it also helps to enunciate them out loud as you write). Then ask your child what picture you can draw beside the event to represent the activity. Is it a soccer match? Draw a soccer ball. Is it dance or music class? Draw a musical note. Is it a park play date? Draw a slide or a swing. Teach them to distinguish between Saturdays and Sundays by shading in the box so they know which days she doesn’t have pre-school or when Mommy or Daddy is home from work. What calendars allow for is the ability to talk about upcoming events, like a birthday, Thanksgiving, or Spring break. It can be very comforting for kids to know what to expect and be able to ask questions while mentally prepare for future events. Marking the box with a giant ‘X’ at the end of the day is perhaps a kid’s biggest thrill. They’ll soon grasp just how fast the days and months in a school year fly by. If your kids are older, give them a calendar of their own so they can keep track of important dates, project due dates, holidays, and events. Educators encourage buying the biggest and boldest kinds to attract your child’s eye. Ones with their favorite cartoon characters help, too. Children are very visual human beings and when they see a calendar that has big boxes, a fun design and bright colors they will be drawn to it. Getting them in the habit of using a calendar now, will make it into a good habit for life. Encourage them to jot down everything from sports practices, dance classes, project due dates, to parties. As adults, we know that utilizing a calendar helps keep your head clear and assures you that you aren’t forgetting anything because it is all written on the calendar. 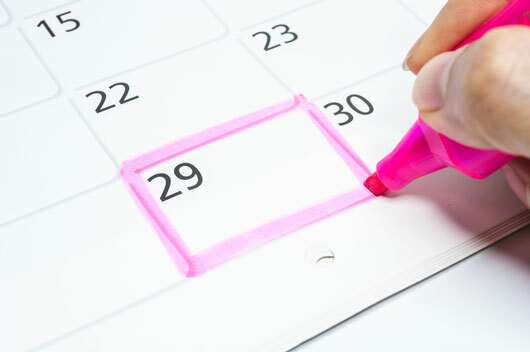 Susan Kruger, founder of StudySkills.com recommends that parents select two calendar options based on functionality, then let the child make the final decision. “There’s a tremendous amount of power when the child gets to choose, and it shows that their opinion matters,” said Kruger in an interview with Care.com. “When your child chooses a calendar, ownership goes up tremendously.” Mark your calendars, folks, it’s going to be a fun and busy school year. *Visit these websites to print out each month of the year in a variety of fun and free templates.